DVI and HDMI cables carry a fairly identical signal format; in fact, the HDMI format is based on digital DVI signals. A simple connection adapter is all you need, if your PC (like most) doesn't support HDMI output. 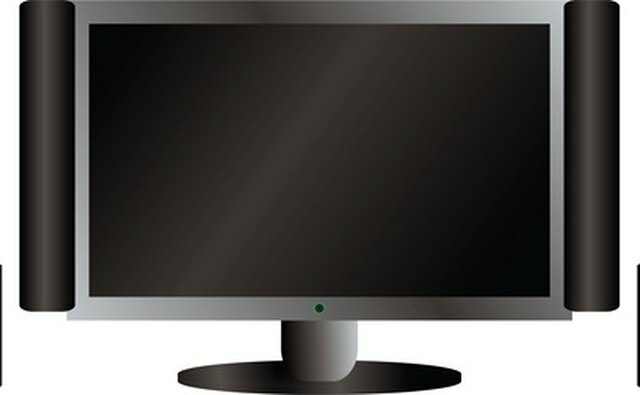 Your computer will just as well with a TV as a computer monitor. Right-click on your desktop and click "Screen Resolution" in the menu that opens. Open the "Resolution" slider and move the selector to the "1280x720." This is equivalent to a 720p high definition video signal, which any TV that accepts HDMI input should be able to display. Click "OK" to apply the changes. 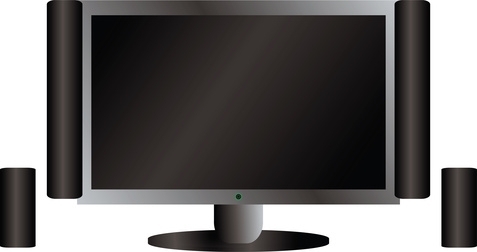 Turn off your computer and disconnect the video cable from the back of your computer screen. Plug an HDMI cable into the HDMI output of your PC's video card and remove the DVI or VGA cable from the DVI connector. If your video card does not have an HDMI output, plug the DVI or VGA to HDMI adapter into the video card's DVI connector and plug the HDMI cable into the adapter. Plug the HDMI cable into an HDMI port on the TV you want to use as your computer screen. Turn on your computer and TV. Switch the TV to the HDMI input connected to the computer. It should display your computer's video signal. Open the "Screen Resolution" window and adjust the display resolution slider to the highest resolution supported by your TV for the sharpest image. Read the article linked in Resource 1 before purchasing the HDMI converter.